Metropolis magazine for restaurants, trends, and new openings. Thank you for following Food Sake Tokyo. We are still offering market tours in Tokyo. Chef David Chiddo of the TY Harbor group has several successful restaurants in the city including Cicada and Beacon. His most recent shop, Smokehouse, is an urban barbecue with a great list of craft beers, both domestic and from the USA, as well as one of the city’s best selection of American spirits. 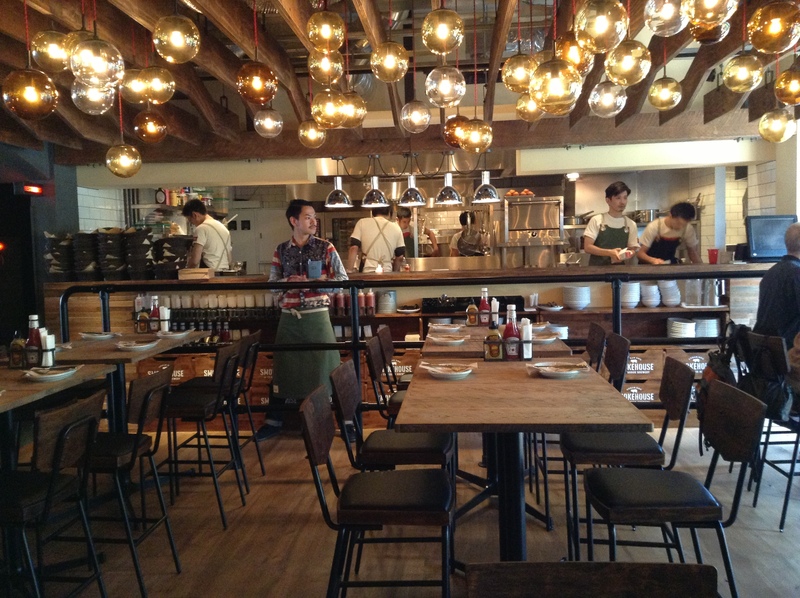 Smokehouse is conveniently located near Omotesando. It’s a casual place and great for meeting friends for a drink and good food. The store is kid-friendly and has a kids’ menu if you ask for it. 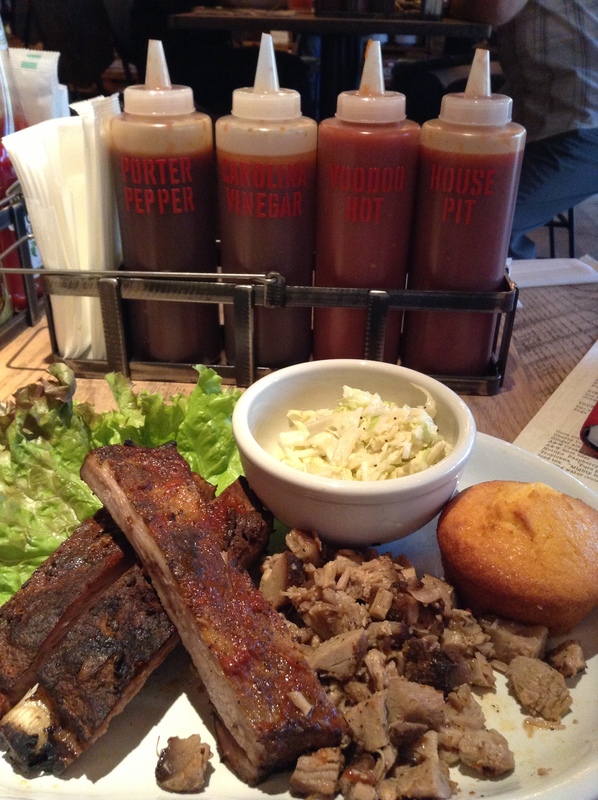 Here is my review of Smokehouse in Metropolis magazine. 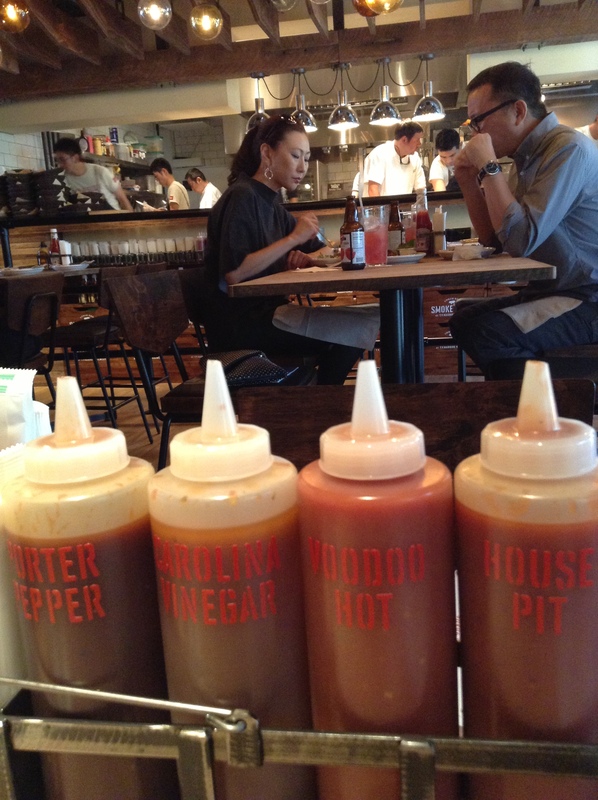 Here I share some photos of the food and scene at Smokehouse. My friend, Jeffrey Merrihue, the founder of Chowzter, was in town recently to film a documentary on chef Yoshihiro Narisawa. Jeffrey followed chef Narisawa on a fishing expedition, a very cool imperial duck hunting adventure, and foraging in the woods. The end of his week of filming was a lunch at Narisawa and I was lucky to be Jeffrey’s dining partner for the meal. It gave us a time to observe one of Asia’s, if not the world’s, top chefs. More exciting for Jeffrey as he was with Narisawa when many components to our meal was collected. 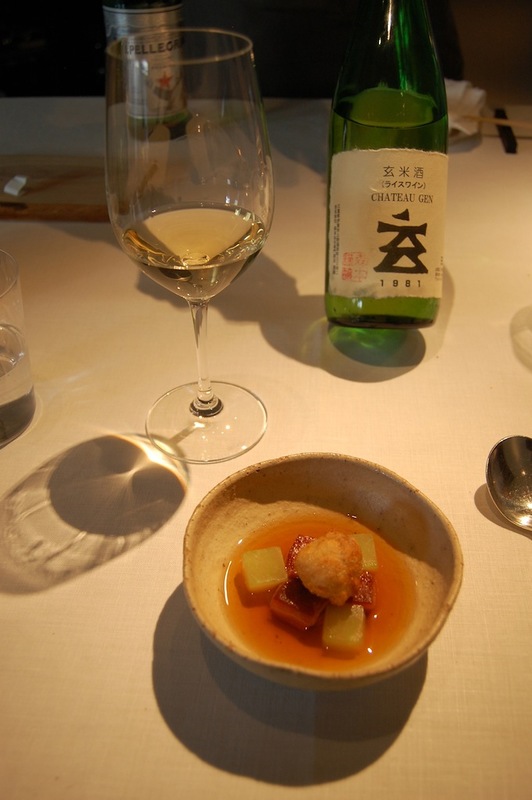 The restaurant also did an all Japanese beverage pairing of wine, sake, and some unique beverages. I am not including photos of every course, but many highlights and all of the drinks that we had, as they are so unique and I can’t imagine anywhere else in the world that has all of these beverages in house. We were served by a sommelier who kept introducing us to new wines and saké. 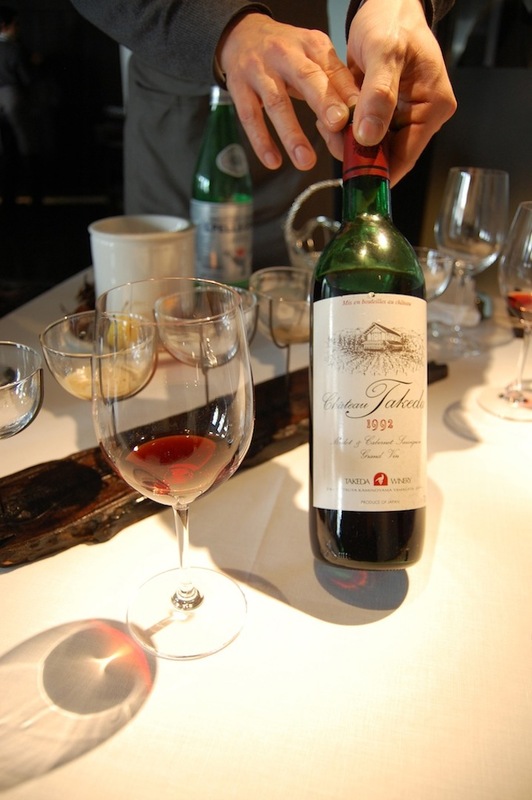 Having worked as a sommelier, I love watching a sommelier at work and we were in good hands. Very interesting selection of wines – all Japanese, if you can believe it. And, a handful of saké as well. Some drinks were old friends, but many of them, new to me. A treat and great adventure. 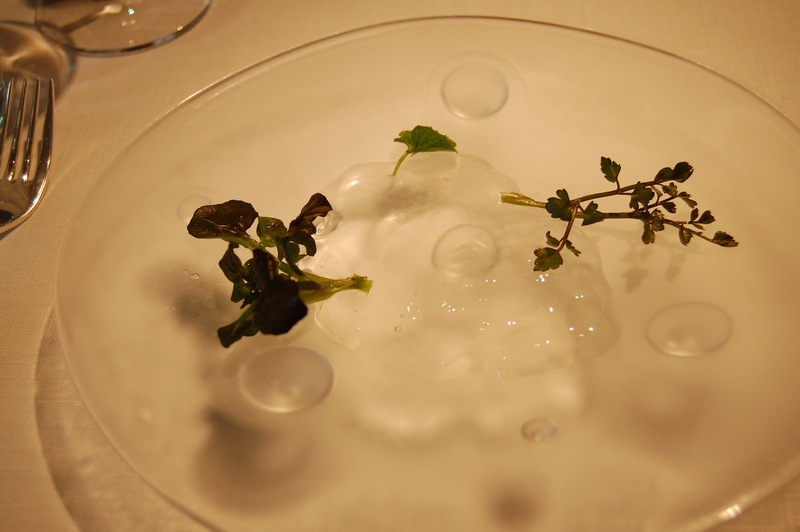 It’s a visually stunning meal, not only food, but how it is presented, much like kaiseki cuisine, so including leaves and such that remind diners the time of year. Including how we started the meal, Water in the Forest, Cuvee Narisawa. 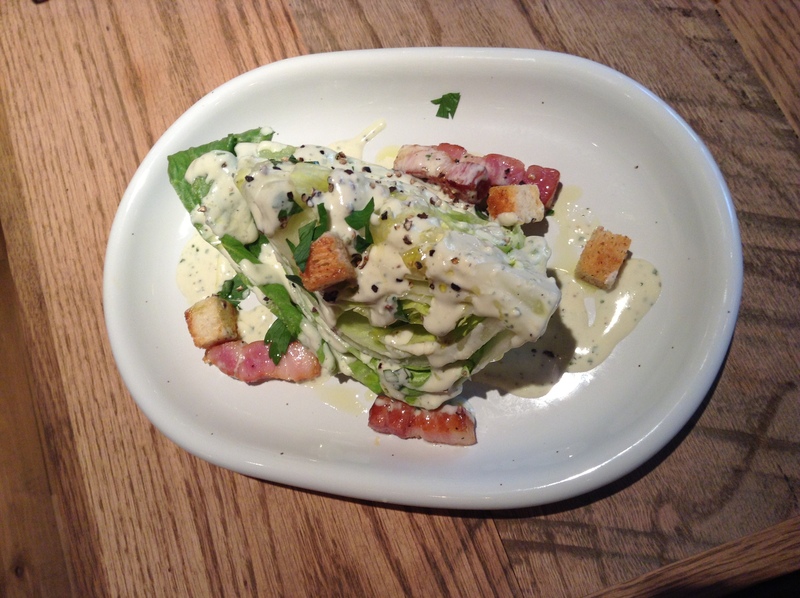 A gentle and refreshing, aromatic start to lunch. The amuse was the Japanese forest in winter. 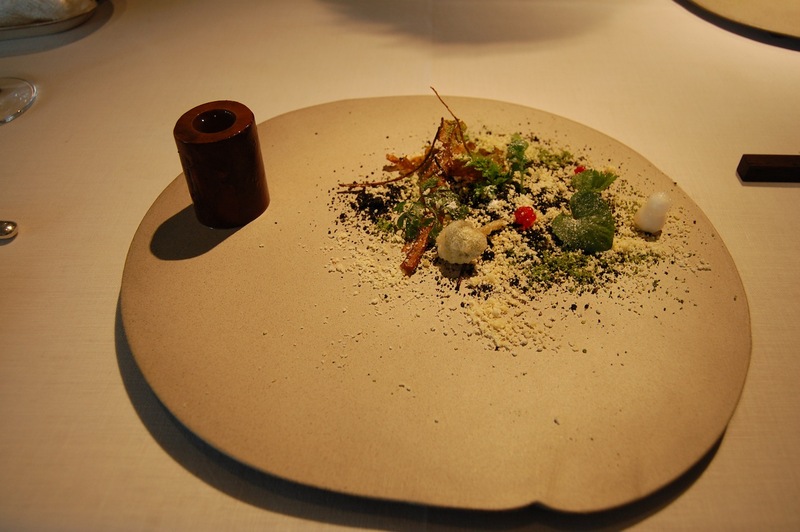 An earthy dish including deep-fried burdock root, bitter Ishikawa herbs, snow made from okara (tofu lees), bamboo charcoal (chikutan) and even a snowman made from daikon. This spring of water was a watery jelly made kanten (agar agar) and wasabi. 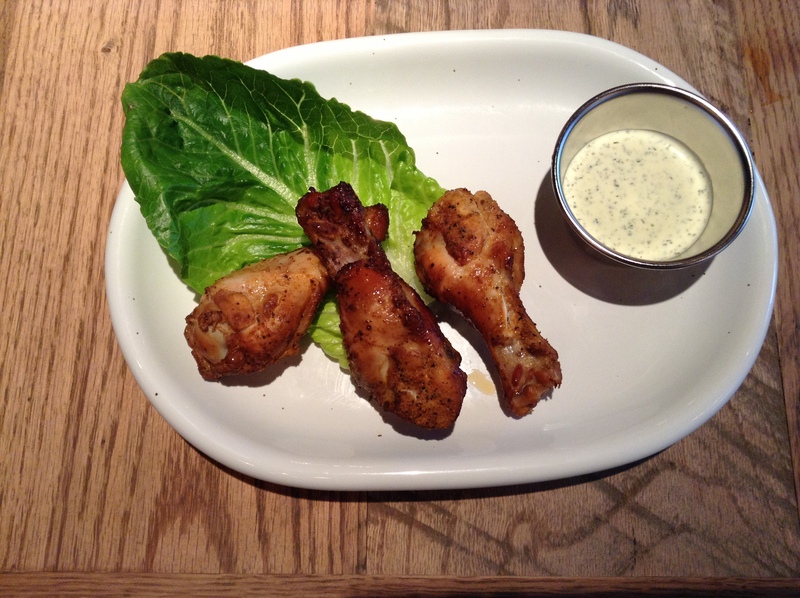 This is one of those dishes you read about and think to yourself, really? It’s a beautiful presentation. And, what caught my ear was that the chef said that there was no salt added to the soup, that the flavor is all natural. It was very delicious. It had a lot of flavor to it. Recently Narisawa was on a documentary on Japanese television and they show him making the soup from scratch in the restaurant. Burdock root is sautéed in a pan before the dirt is added and then the dirt is sautéed for a while before water is added. And, when I saw this being assembled, it all made sense. The soup does taste of the earth, but also of burdock root. It’s a great dish and something I would ask for again in the future. 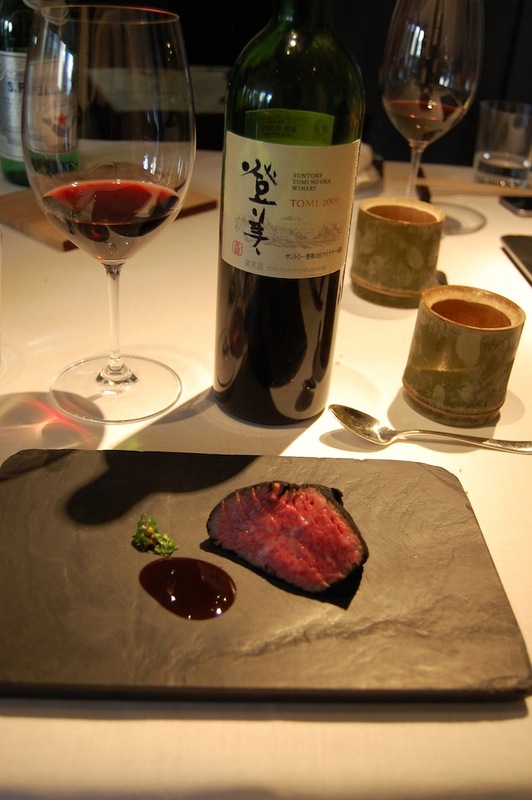 1992 Chateau Takeda Cabernet Sauvignon and Merlot (Kaminoyama, Yamagata). Very fun to try a 20-year-old Japanese wine. Still had some structure to it, but elegant, as can be seen in the color. 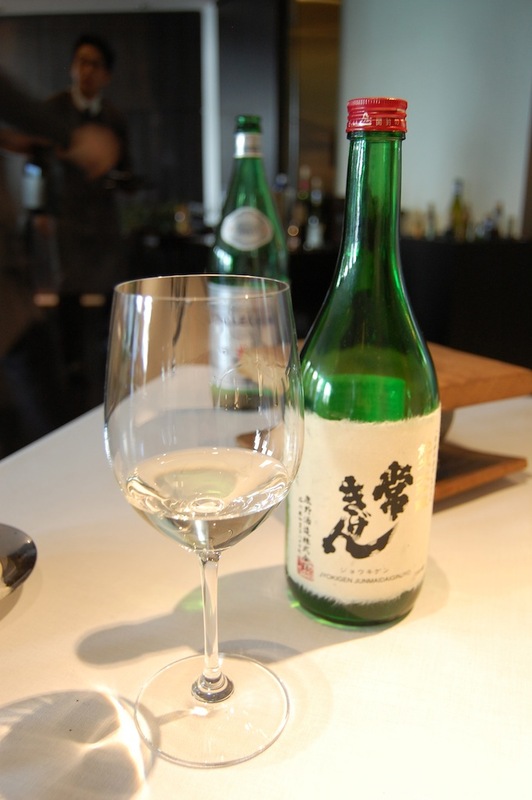 Jokigen Junmai Daiginjo (Kaga, Ishikawa). I am a big fan of this saké brewery so always happy to have this. Ash 2009. Barbecue on the seashore. 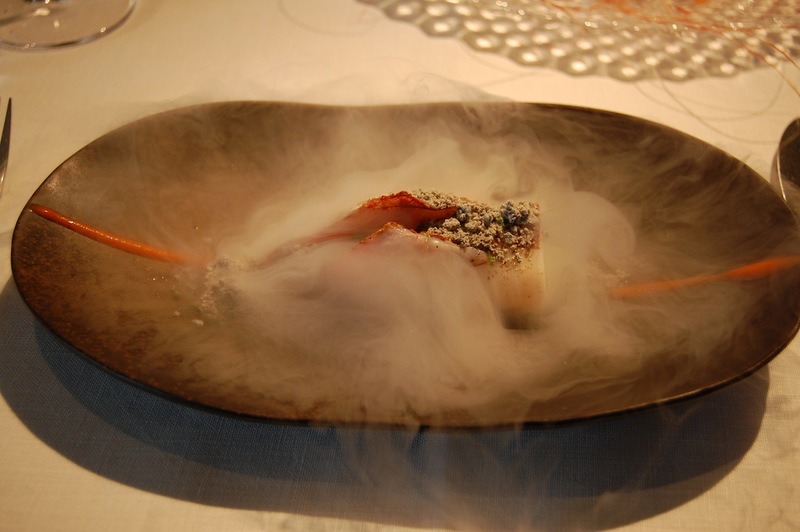 Squid, olive oil, lemon juice, paprika, and liquid nitrogen. Tomato puree with Kochi yuzu. The seasonal bread with chestnuts and moss butter. Riesling Lion is a grape you’ll only see in Japan. 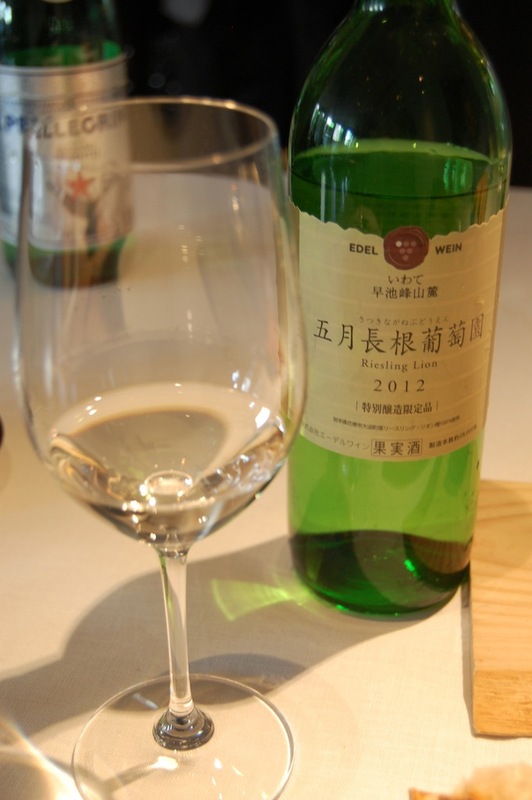 A hybrid grape made from riesling and koshu. It tastes much more like koshu than it does riesling. 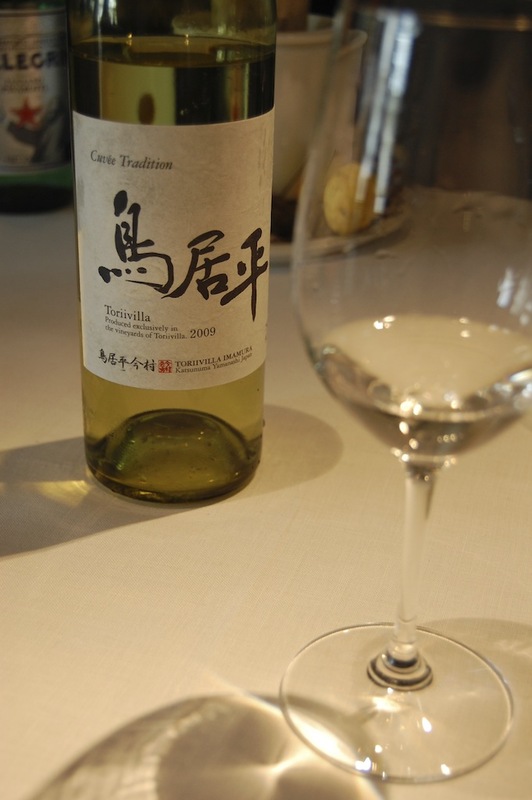 A light, refreshing, and aromatic wine with some Japanese citrusy notes to match well with the deep-fried fugu (blowfish). 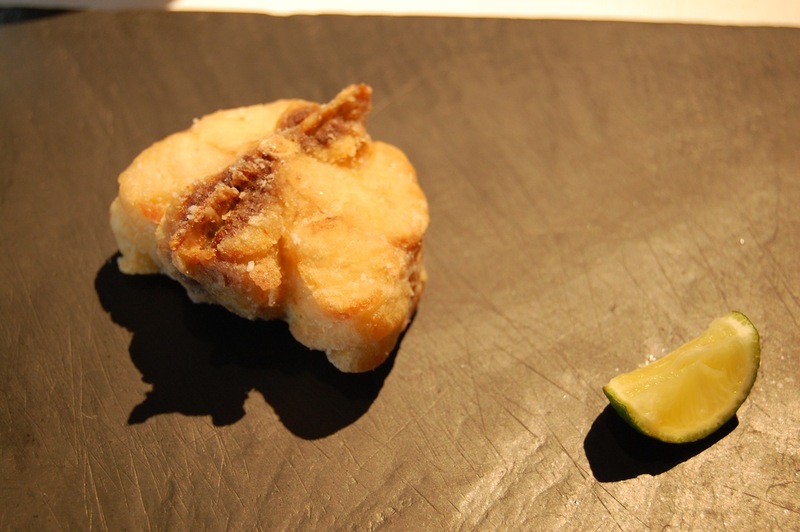 Deep-fried fugu (blowfish) with sudachi. We eat fugu from time to time at home and I am not a big fan. This was a revelation. Delicious! This is the fish that Jeffrey went fishing for with chef Narisawa. 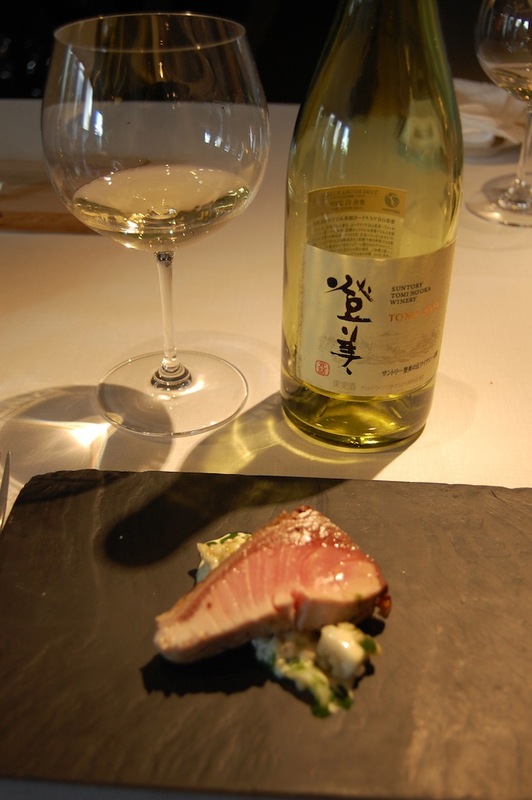 It is called kanburi, or winter yellowtail. 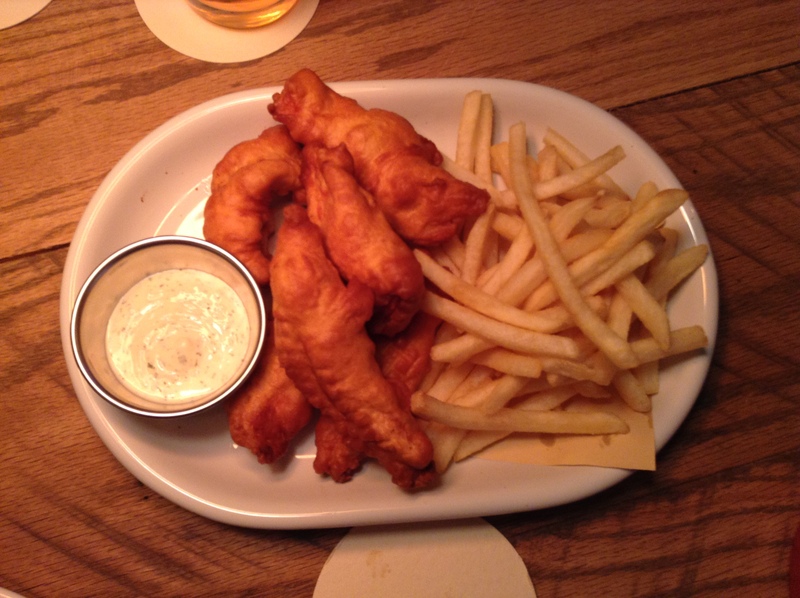 It is one of the most delicious fish this time of year. It is so good that my husband and I journeyed to this same area to see it at the fish market in Himi port for part of our honeymoon. Chef just seared it so most of it was still sashimi. Rich in fat and so delicious. Chateau Gen 1981 from Mie prefecture. A unique sake made from genmai, brown rice. Rich, like wine and a nice match to the pork in this soup. This Okinawa dish was one of my favorites. 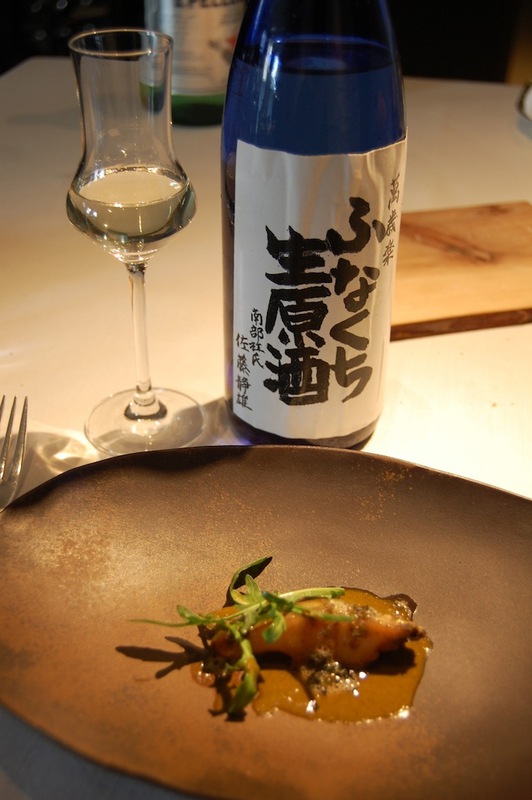 It is made with a delicate broth, rich in umami, made from irabu (Okinawan sea snake) that is dried. It was an elegant version of dishes I’ve had in Okinawa. I had the pleasure of working with Takahiko Soga at Coco Farm and Winery in Ashikaga, Tochigi. 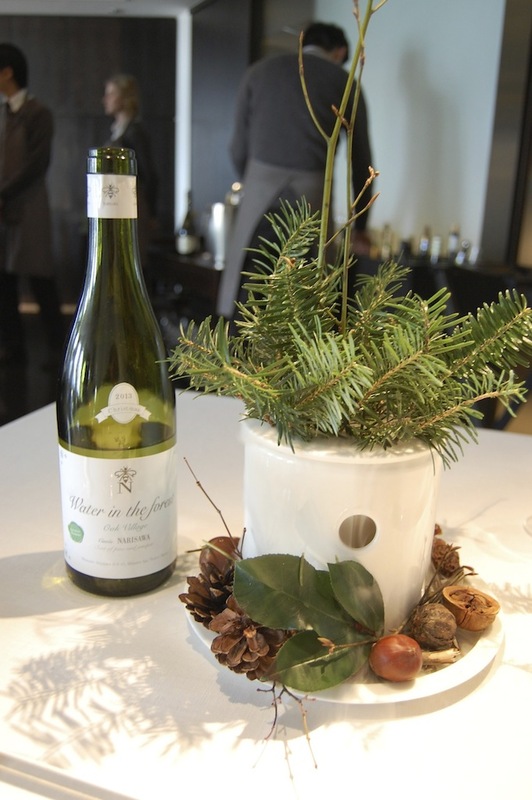 Soga-san has since moved on to Hokkaido, to open up his own winery, Domaine Takahiko. 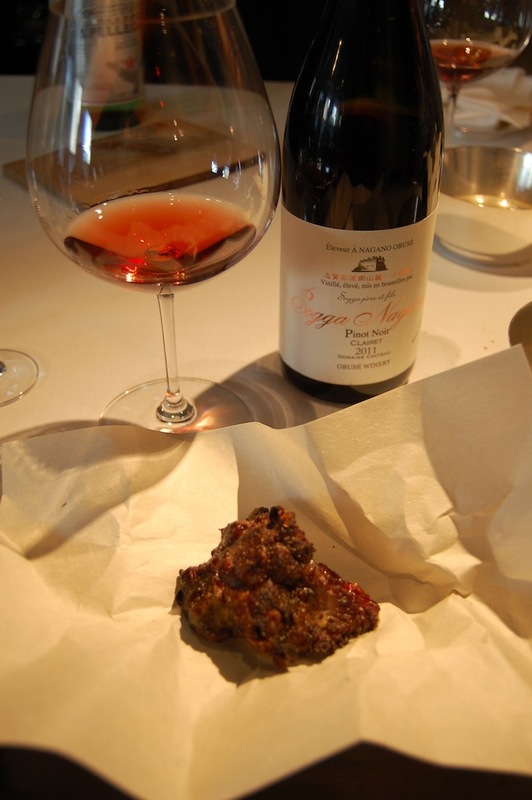 Soga-san’s family runs Domaine Sogga in Nagano prefecture, known for their wines, and this lovely pinot noir. 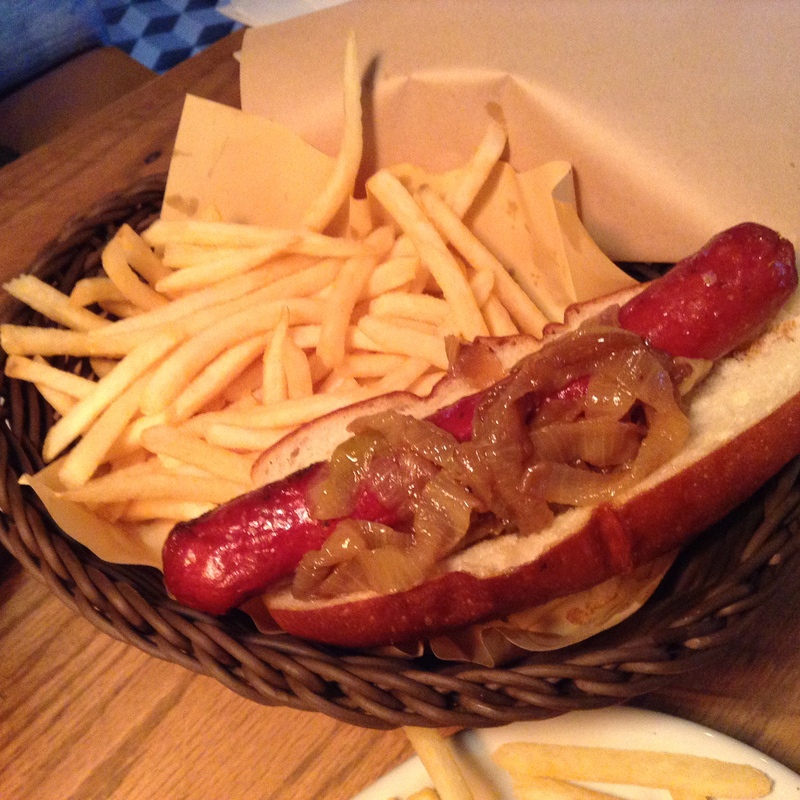 It was served with a roasted suppon. Suppon is something I see at Tsukiji Market when I do tours there. It is a soft-shell turtle that is considered a delicacy in Japan. I was a bit hesitant to try it, but what better way to try a new food than with a star chef like Narisawa. It was amazing. Meaty, well-seasoned, and not at all turtle like (imagining it would taste of a lake or be chewy). Chō Nōkō Jersey Yogurt Shu from Miyagi prefecture was an unexpected surprise. 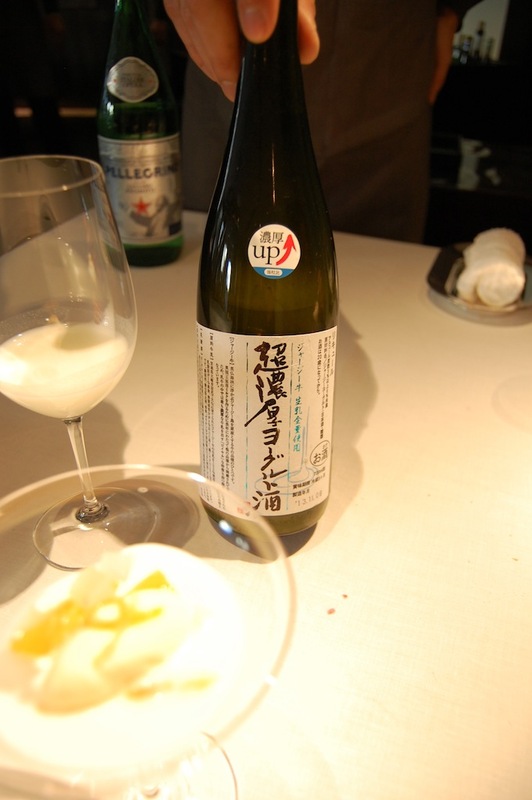 A thick drink made from Jersey milk yogurt and saké. Perfect for this saké kasu, kuzu kochi and winter citrus fruit dessert. At the end of the meal Jeffrey and I were talking about sweets that we liked. We both said that we loved any dessert with salted caramel. 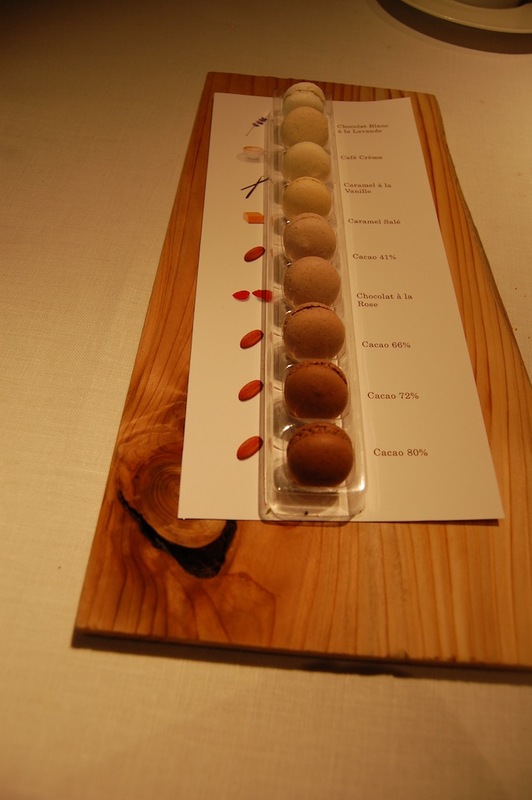 So, you can imagine how delighted we were to see this striking display of macaroons, with a caramel salted one. Our waiter kindly brought us a second one so we could each have one. The staff kindly printed out the menu for us. 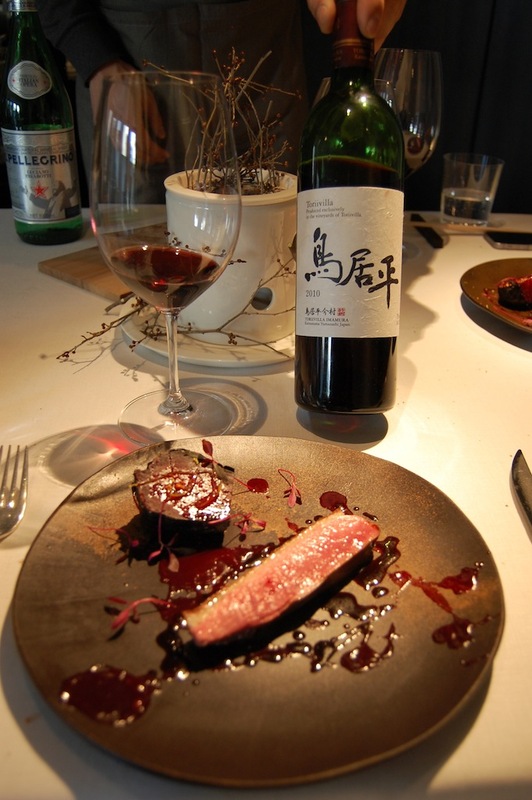 I had the Ash 2009 instead of the Botan shrimp, Nanao Bay, which Jeffrey had. It was a lovely meal and would be great fun to go back in another season to see how chef Narisawa interprets a different time of year. I hope that soil soup is served again. Thanks to chef Narisawa for a lovely meal, and to the sommelier (sorry, I didn’t get his name), who paired each course so wonderfully. Chef Narisawa has recently collaborated with a historic and famous yōshoku restaurant, Tokyo Toyoken, that has just opened on January 15th, in Akasaka. The indefatigable chef shows no signs of slowing down. Looking forward to trying his new place and seeing what the future holds. 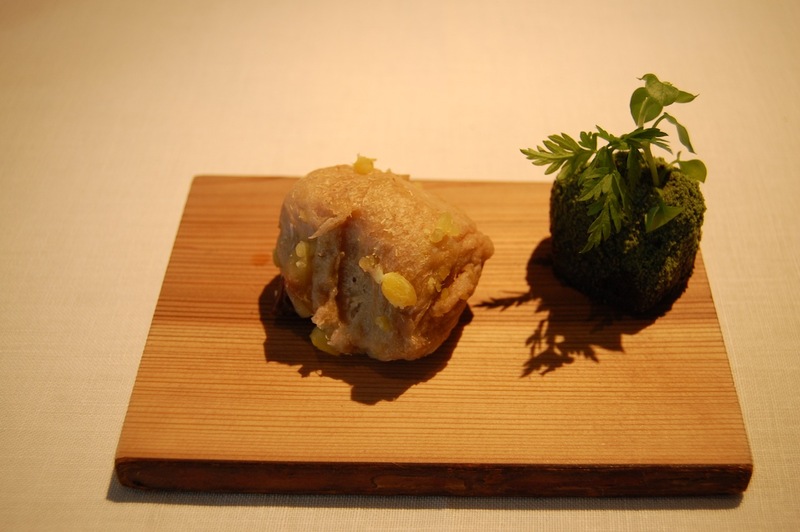 Michelin has announced its updated guide for 2014 for Tokyo, Yokohama, and the Shonan area. Last year Michelin, in alliance with Gurunavi, has stopped printing the book and putting it online for free. 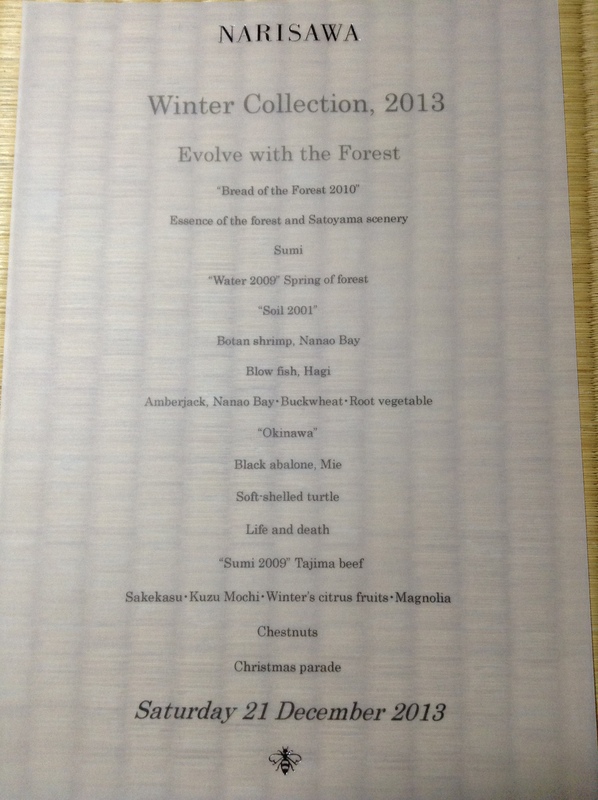 So, here you go, the 2014 Tokyo Michelin Guide. Udon noodles are everywhere I look. TV programs, food magazines, and newspapers are all covering the different types of udon noodles, ways of eating it, and where to go in Tokyo. My fall back restaurant has always been the chain store Hanamaru. Mainly because it was close to where I was working, it’s cheap, and very good for the price. 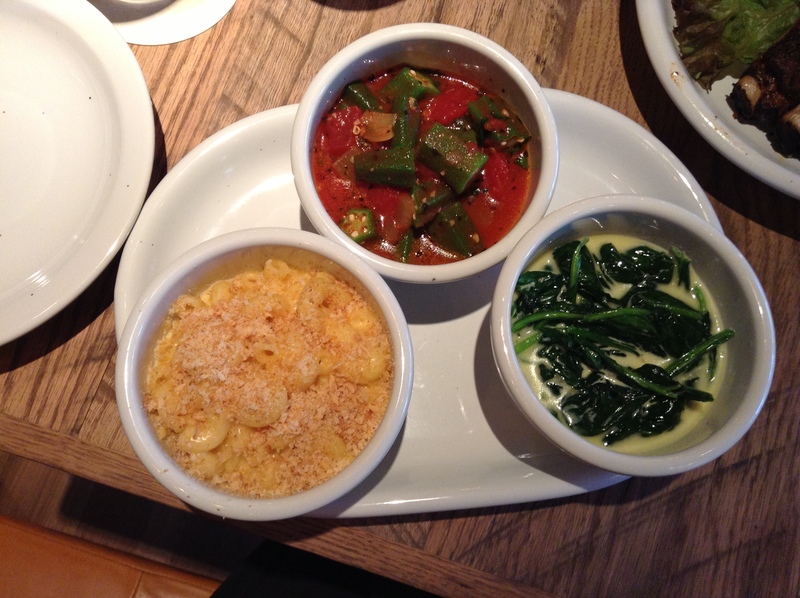 The menu changes throughout the year offering seasonal specialties. At home we usually have dried udon noodles in our pantry for a last minute meal or a light snack. If we are making a nabe (hot pot) we’ll get some frozen udon noodles to throw in the pot at the end of the meal. However, now restaurants are making their own udon noodles or serving them as traditionally served in different regions around Japan. Here is a list of ten udon shops worth seeking out in Japan. If the restaurant has a website I’ve included a link. Just click on the restaurant name. Here are tips to demystifying an udon menu. Handmade noodles. To try very simple noodles order the kama-age udon. Handmade Sanuki udon noodles at this modern restaurant near the Suitengumae temple. Tight quarters at this tachigui standing bar with handmade Sanuki udon noodles. Inaniwa udon from Akita prefecture are thin noodles. Sato Yosuke is a 7th generation shop in Akita. This Ginza shop has been open since 2006. A modern take on the dish are tsuke-men noodles can be dipped in Italian, French, or Thai curry broths, as well as the traditional soy based broth. In the basement of a building in front of Shinbashi station, this popular 30-year old shop usually has a line of customers at lunch time for the Inaniwa udon. A popular dish is cold noodles served with a hot sesame dipping broth made from katsuobushi broth with minced duck and seasonal ingredients. Fuji Yoshida udon noodles are thick and known for having a dense texture. Nagoya udon is famous for using the very hearty Hatcho miso in the broth. Osaka udon is the speciality of this shop with very simple settings. Nagasaki udon are thin and light. Miyazaki Kama-age udon noodles are the specialty of this shop. Shibuya’s newest addition to the skyline is Hikarie. The restaurants are on floors six and seven. Lots of interesting spots including Umauma Ramen from Hakata serving hitoguchi (bite-size) gyoza and skewered and grilled chicken skin alongside ramen. Kashiwa for okonomiyaki and teppanyaki. 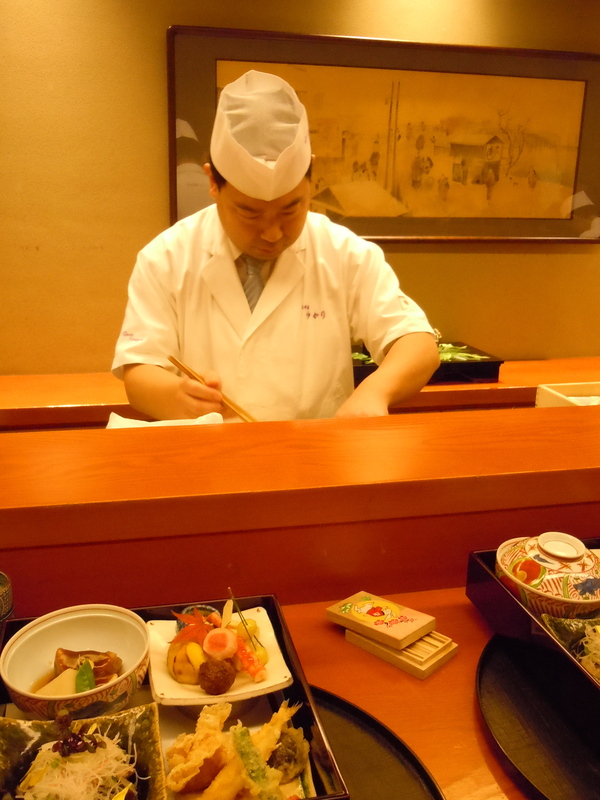 Sendai’s famous Rikyu for grilled gyutan (beef tongue), Maisen tonkatsu, and much more. 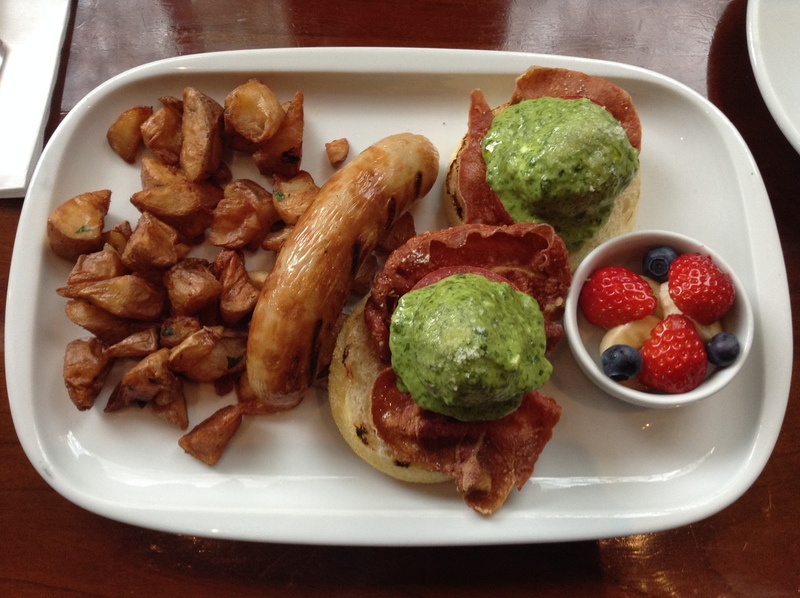 With over two dozen restaurants there is something for everyone. Opening April 18th is Bill Grangers newest restaurant bills in Tokyu Plaza Omohara. What a brilliant naming for this corner that sits between Omotesando and Harajuku. The old Gap building for anyone who is familiar with this crossing. 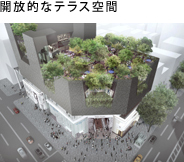 The entrance on the corner of Omotesando and Meiji Dori is big and will naturally bring in fashionistas coming to visit the new shopping mall. 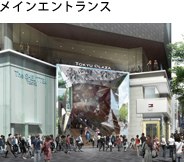 The Japanese press release includes a list-up of the shops in the spacious mall. 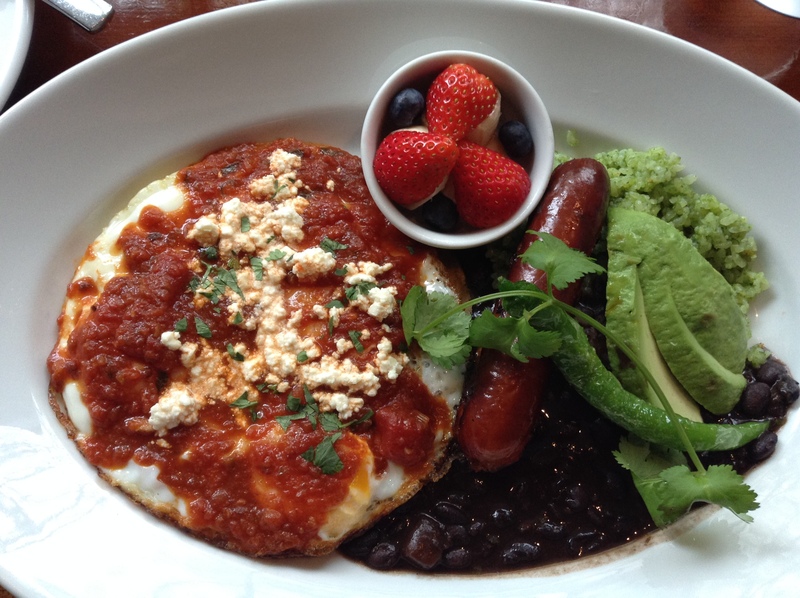 bills is known for his brunch menu of pancakes or hotcakes and egg dishes. 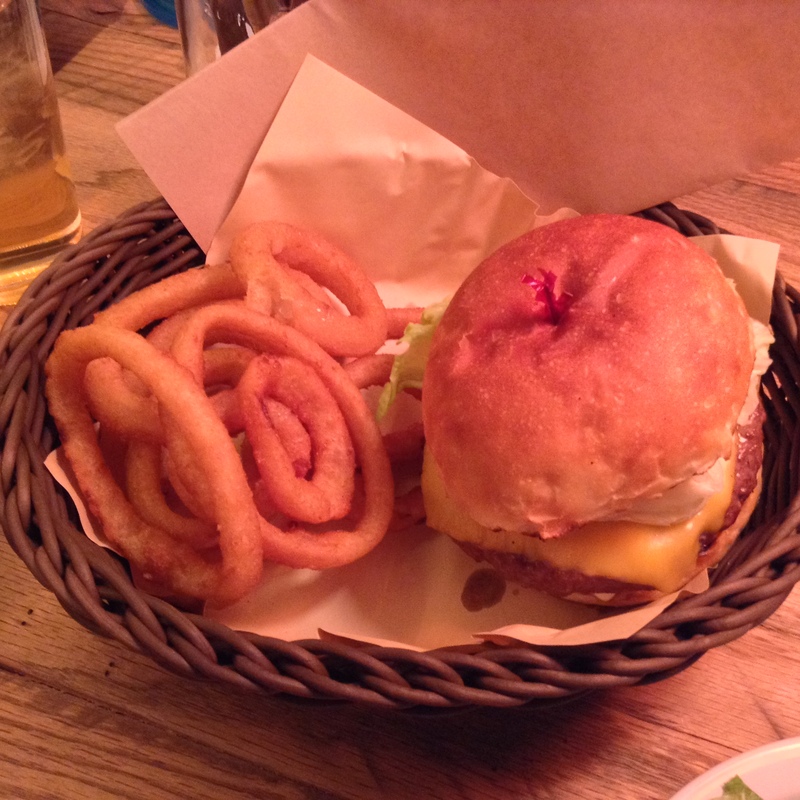 A lot of the Western comfort foods that I think is perfect for the trendy youth of Omohara. Japanese fried chicken, karaage, to me is so much better than American fried chicken because it is usually boneless and is always tender. 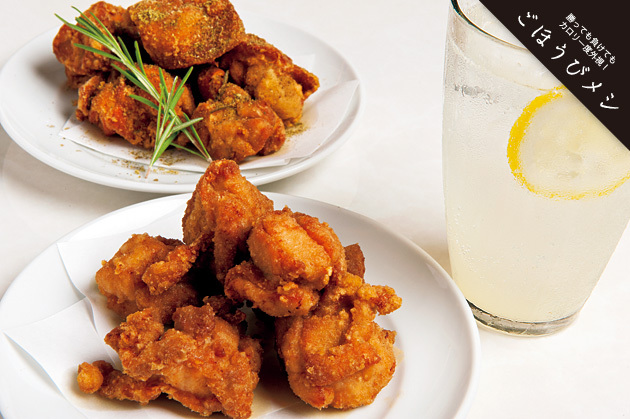 Karaage is usually marinated in sake and some other seasonings before being deep-fried. The sake helps to tenderize the meat. I am recipe testing karaage for Postmark Chef in the USA and I always look forward to the tastings. Karaage is very popular in Tokyo at the moment and one restaurant to check out is Ranman Shokudo in Ebisu. The karaage here is made from thigh meat, making it all the more tender. This photo comes from Tarzan magazine issue 590.